Much like the original 1958 film of the same name, the remake of The Blob has gained a cult following after its theatrical release in 1988. The film was written and directed by Chuck Russell (Dream Warriors, The Mask) and Frank Darabont (The Fly II, The Mist, Tales from the Crypt). Soundtrack duties were handled by German composer Michael Hoenig. Over the course of multiple decades, Emmy award nominee Michael Hoenig has composed a diverse and extensive catalog of material that includes the theme to ‘Dark Skies’, the soundtrack to the extremely popular ‘Baldur’s Gate’ PC game, and countless others. Horror scores composed by Hoenig include Class Of 1999 (1990) and The Gate (1987). He also performed on the soundtrack for Galaxy Of Terror (1981). 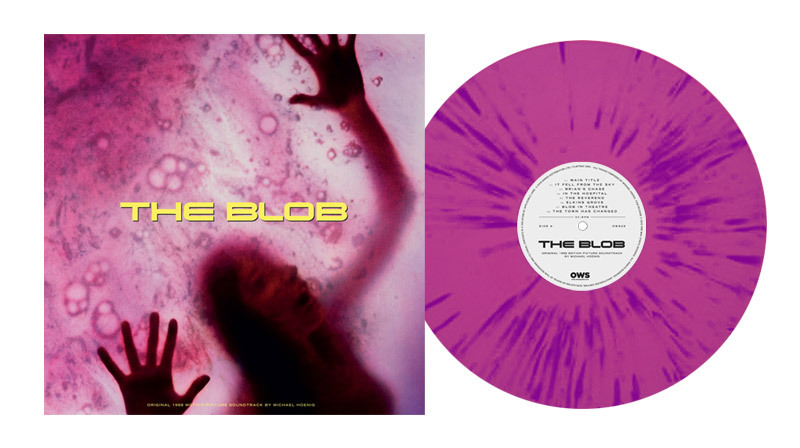 The Blob soundtrack is now available for pre-order on “blob splatter” vinyl, exclusively pressed for Wargod and limited to 200 copies.